Our football writer previews the UEFA Champions League round of 16 first leg action which kicks off on Tuesday 12 February 2019. 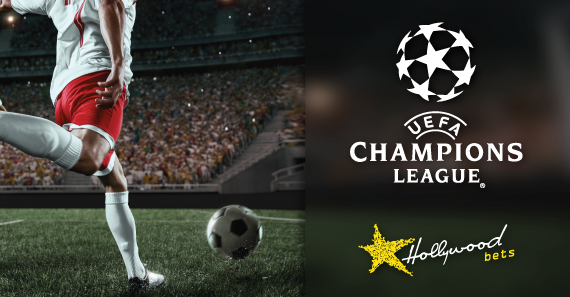 We’re down to the business end of the UEFA Champions League with the last 16 teams all battling it out for the ultimate prize in the knockout stages. You could win your domestic league or all the cups on offer, but failure in the Champions League almost rules out everything a team has done in the season. With Europe’s elite tournament returning to our screens, we take a look at the first four encounters of the Round of 16. Another fascinating encounter is expected when Roma and Porto battle it out at the Stadio Olimpico. These sides last met in the 2016/17 play-offs when Porto beat Roma 4-1 on aggregate. The Italians endured a superb run in the Champions League last season, knocking Barcelona out to reach the semi-finals. Porto have done very little wrong this campaign, winning five of their six group games, while the other tie ended in a stalemate for the Dragons. These sides have met four times with the Portuguese giants winning two, while Roma have never beaten their counterparts. My money is on a draw here. Real Madrid will have their eyes set on a fourth successive Champions League trophy when they take on Ajax this Wednesday. Los Blancos have won their last six meetings against Ajax, while their domestic form seems to have picked up at the perfect time, winning their last four matches at the time of writing. Ajax will be looking to reach the last eight for the first time since 2003, while they also have Frenkie de Jong looking to make a statement against his future rivals, after signing a pre-contract agreement with Barcelona. Both teams have been unpredictable this term, but I’m backing Madrid due to their superior pedigree in this tournament. Old foes meet again as Tottenham welcome Dortmund to Wembley Stadium in hope of keeping their superb record over the Germans intact. Spurs beat Dortmund twice in the 2017/18 group stages, with Harry Kane scoring three times in as many games against BVB. This time around, though, Spurs will have to get past Dortmund without Kane, who is ruled out due to injury, as well as Dele Alli. Lucien Favre’s men have been excellent this season and currently boast a seven-point lead at the top of the Bundesliga standings. Jadon Sancho will return to England with all eyes on the teenage superstar, while BVB also have Christian Pulisic looking to get one over his future crosstown rivals, after signing a deal with Chelsea that will see the American join the Blues next season. Right now, it’s just Son Heung-min pulling the strings for Spurs, which gives Dortmund every bit of a chance here. I’m backing Dortmund to get the all-important away win!